Is QEP Resources Inc (QEP) A Good Stock To Buy? Legendary investors such as Leon Cooperman and Seth Klarman earn enormous amounts of money for themselves and their investors by doing in-depth research on small-cap stocks that big brokerage houses don’t publish. Small cap stocks -especially when they are screened well- can generate substantial outperformance versus a boring index fund. That’s why we analyze the activity of those elite funds in these small-cap stocks. 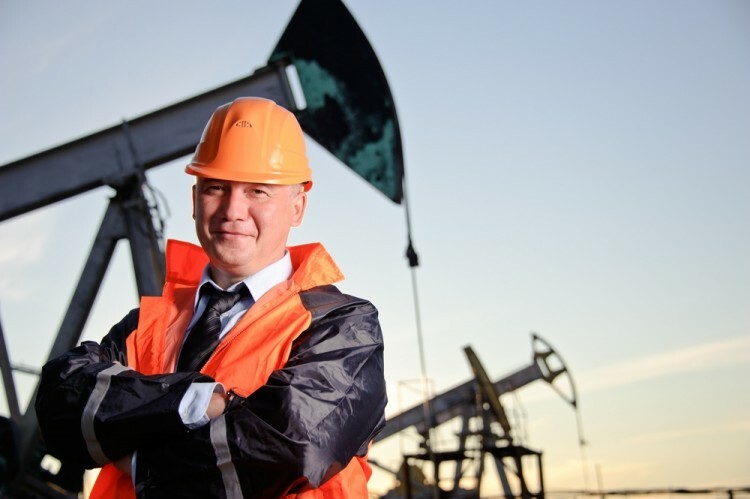 In the following paragraphs, we analyze QEP Resources Inc (NYSE:QEP) from the perspective of those elite funds. Is QEP Resources Inc (NYSE:QEP) undervalued? Some money managers abandoned the stock during Q3 but this may prove to be a bad move for them. 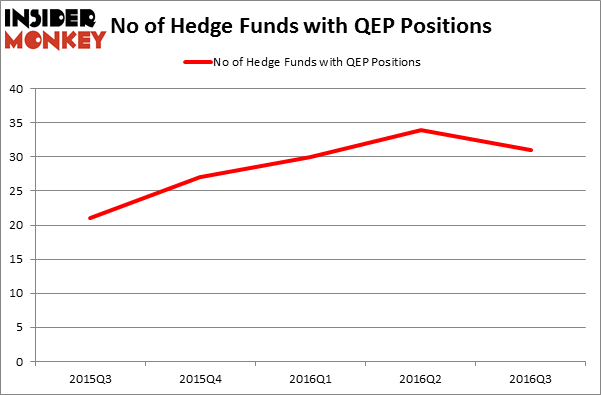 The number of long hedge fund bets decreased by 3 recently. At the end of this article we will also compare QEP to other stocks including Ternium S.A. (ADR) (NYSE:TX), Syntel, Inc. (NASDAQ:SYNT), and VWR Corp (NASDAQ:VWR) to get a better sense of its popularity. How are hedge funds trading QEP Resources Inc (NYSE:QEP)? At the end of the third quarter, a total of 31 of the hedge funds tracked by Insider Monkey held long positions in this stock, a decline of 9% from one quarter earlier. However, overall hedge fund sentiment is still near its peak as you can see from the graph below. With hedgies’ capital changing hands, there exists an “upper tier” of key hedge fund managers who were increasing their holdings considerably (or already accumulated large positions). Of the funds tracked by Insider Monkey, D E Shaw, managed by D. E. Shaw, holds the biggest position in QEP Resources Inc (NYSE:QEP). D E Shaw has a $67.4 million position in the stock. The second most bullish fund manager is Israel Englander of Millennium Management, with a $65 million position. Other members of the smart money that are bullish consist of Cliff Asness’ AQR Capital Management, Peter Rathjens, Bruce Clarke and John Campbell’s Arrowstreet Capital and Rob Citrone’s Discovery Capital Management. The Big Short’s Michael Burry Reveals His New Stock Picks Five Dow Jones Stocks That Can Outperform The Market Constellium NV (CSTM): This Metric Is Giving A Huge Buy Signal 5 Stocks Hedge Funds Are Betting Against Insiders 5 Micro-cap Stocks Billionaires Love The Most Is Becton Dickinson and Co (BDX) A Good Stock To Buy Right Now?